The wild misconceptions surrounding Social Security Disability Insurance benefits never cease to amaze our Boston disability benefits lawyers. The truth could not be further from that. Our population is growing and aging – two factors that contribute significantly to the ballooning of disability rolls. The fact is, people who are well-qualified often must wait months if not a year or more just to have their case reviewed. Even then, the vast majority of applicants are not approved. Those who continue on to the appeals process have somewhat better odds, but it is by no means a given. In light of all of this, we can certainly see the need for reform. At a hearing before the House Ways and Means Social Security subcommittee, a retired administrative law judge testified that claimants should be made to come to hearings armed with more information regarding their disability. As it stands, there is already an inordinate amount of information required for claimants at hearings. The subcommittee has been hosting a series of hearings on the molasses-slow claim determination process. Managers for SSDI said they have attempted to streamline the process, particularly by setting special parameters for those who have severe and clear-cut disabilities (known as Compassionate Allowances). However, others moving through the process can take years. At another of those subcommittee hearings, a policy specialist with the Center on Budget and Policy Priorities, indicated that Congress should boost financial support for the administrators of the SSDI program, as right now, the resources are scant for what they are expected to accomplish. 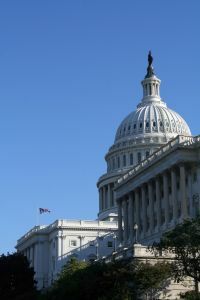 As it now stands, congress treats the budget of the Social Security Administration as a form of discretionary spending. This is despite research showing that spending money at the front end can help to significantly reduce abuse and fraud and help to ensure that those who need the benefits most aren’t overlooked. Another additional proposal is to amp up the requirements of those representing disability claimants. A decade ago, only about a tenth of claimants were represented by a third party, such as an SSDI attorney. Now, it’s about 80 percent. With lax criteria for who can be a representative, it’s unfortunate that many claimants receive sub-par representation. The original rules as they stand were written to accommodate claimants who were going forward on their own. But the administrative judge says more stringent requirements should be made of certain professionals, particularly attorneys, with regard to ensuring all the evidence is appropriately submitted and in a timely manner. This is not a requirement that would concern us in the least, as these are the standards to which we already adhere. You can ensure that your needs and interests will be held in the highest regard when you hire our experienced, caring SSDI lawyers to represent you.